Moneyball’s $5000 Sunday Funday is up and waiting for you to pick a winning team! Makes sure you check out Roy’s hot tips before picking your side. Daily Fantasy Sports (DFS) is one of the fastest growing games in Australia. 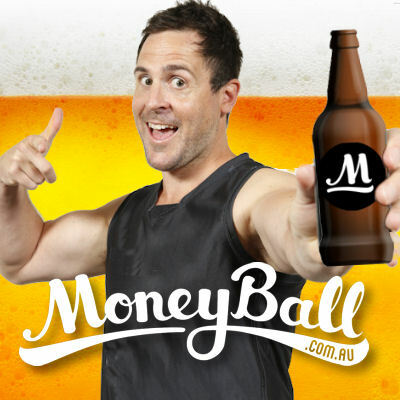 Our mates at Moneyball are the leaders in the industry and run many different formats, including competitions for every AFL game across the season. POOL $5,000 with $650 for 1st, 2nd receives $310 and so on right down to $34.18 for players in 89th place. Sean Darcy (RUC, $3,500) At risk of stating the obvious, but Darcy is possibly the easiest pick this season. He will be the number one big man and do the bulk of the work with Sandi out and he has already shown an ability to get his hand on the ball with 40 and 33 hit outs in his last two… while averaging 15 touches in that time. Michael Walters (FWD, $8,000) is in sensational form, straight off the back of a 30+ possession and six goal performance. He continues to thrive with more responsibility in the middle of the ground and his ability to push forward speaks for itself. The Roos have conceded the most tons over the last three weeks so Walters should push that again. Michael Hibberd (DEF, $7,700) If you are trying to find a reason to justify not paying up for Doc (DEF, $11,600), the Dees are one of the best at restricting opposition defenders from racking up and he costs a fortune. So if you dare go against him, Hibbo is the man, averaging 29 touches in his last 7. Bryce Gibbs (MID, $11,500) Comes at a price but it will be hard to win if he gets going again. He is the highest averaging player since round 9 with 141 points per game and he comes up against a Demon side who are missing some grunt in the middle and conceded 7 tons against the Swans last week. Patty Ryder (RUC, $7,700) Coming off 119 last week and similarly, isn’t faced with tough match ups against the Eagles. What I like the most about him is that he has already scored a season high 131 against the Eagles this year. Jordan Lewis (MID, $7,900) Once again, crisis creates opportunity for the Happy Hour special with the out of form Jordan Lewis now required to step up and offer the Dees one of his vintage Hawks performances that they got him over for. With so many of their big ball winners out, he has to get his hands on the pill 30 times and push triple figures. who will go bigger today, jared polec or brad ebert?